 Some Companies Shift Health Costs to Better-Paid - ONRAD, Inc. The New York Times | November 9 – With health care costs climbing even higher during this enrollment season, more employers are adopting a tiered system to pass on the bulk of those costs to their employees by assigning bigger contributions to workers in top salary brackets and offering some relief to workers who make less money. For years, employees have seen what they pay toward health care go up as companies ask them to contribute more to premiums and deductibles. But now, as people enroll in health plans for the coming year, the sticker shock is more jolting than ever because so many companies are passing on to their workers most, if not all, of the higher costs. A worker’s share of a family policy is approaching $4,000 a year on average, and is most certainly going to keep rising through the next few years. For lower-salaried workers, those costs have only compounded their struggle in a brutal economy. More and more companies in the last year or so have begun signaling their recognition of the added burden shouldered by workers in low- and middle-income jobs by varying the premiums they pay based on salary. Consultants say the trend is likely to continue, as employers devise various ways of spreading increased health care costs among their staff and balancing that side of the ledger against fewer raises and other compensation.